A young pretender raises an army to take the throne. Learning of his father’s death, the adolescent, dashing and charismatic and descended from the old kings of the North, vows to avenge him. Sound familiar? It may read like the plot of Game of Thrones. Yet that was also the story of the bloodiest battle in British history, fought at the culmination of the War of the Roses. George RR Martin’s bestselling novels are rife with allusions, inspirations, and flat-out copies of real-life people, events, and places of medieval and Tudor England and Europe. Henry VIII is best known in history for his tempestuous marriages and the fates of his six wives. 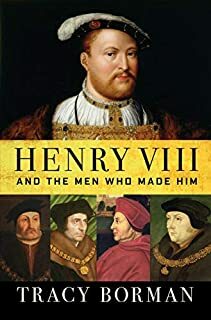 However, as acclaimed historian Tracy Borman makes clear in her illuminating new chronicle of Henry’s life, his reign and reputation were hugely influenced by the men who surrounded and interacted with him as companions and confidants, servants and ministers, and occasionally as rivals - many of whom have been underplayed in previous biographies. 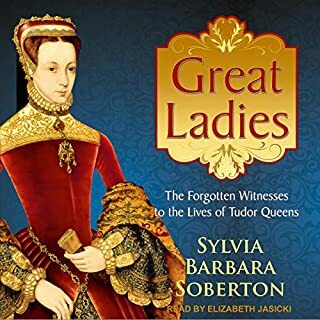 Some ladies who served at the Tudor court are only faceless silhouettes lost to the sands of time, but there are those who dedicated their lives to please their royal mistresses and left documentation, allowing us to piece their life stories together and link them to the stories of Tudor queens. These female attendants saw their queens and princesses up close and often used their intimate bonds to their own benefit. Some were beloved, others hated. This is the story of the ladies of the Tudor court like you've never heard it before. With his tumultuous love life, relentless pursuit of a male heir, and drastic religious transformation, England's King Henry VIII's life sounds more like reality television than history. He was a man of fascinating contradictions. What could have caused his incredible paradoxes? Could there be a simple medical explanation for the king's descent into tyranny? Where do the answers lie? Blood will tell. England's Tudor monarchs - Henry VII, Henry VIII, Edward VI, Mary I, and Elizabeth I - are perhaps the most celebrated and fascinating of all royal families in history. Their love affairs, their political triumphs, and their overturning of the religious order are the subject of countless works of popular scholarship. But for all we know about Henry's quest for male heirs or Elizabeth's purported virginity, the lives of the Tudor monarchs away from the public eye remain largely beyond our grasp, mostly not chronicled by previous historians. This is the story of two women struggling for supremacy in a man's world, when no one thought a woman could govern. They both had to negotiate with men - those who wanted their power and those who wanted their bodies - who were determined to best them. In their worlds, female friendship and alliances were unheard of, but for many years theirs was the only friendship that endured. They were as fascinated by each other as lovers; until they became enemies. Enemies so angry and broken that one of them had to die, and so Elizabeth ordered the execution of Mary. From acclaimed historian Chris Skidmore comes the authoritative biography of Richard III, England's most controversial king, a man alternately praised as a saint and cursed as a villain. The first Plantagenet king inherited a blood-soaked kingdom from the Normans and transformed it into an empire that stretched at its peak from Scotland to Jerusalem. In this epic history, Dan Jones vividly resurrects this fierce and seductive royal dynasty and its mythic world. We meet the captivating Eleanor of Aquitaine, twice queen and the most famous woman in Christendom; her son, Richard the Lionheart, who fought Saladin in the Third Crusade; and King John, a tyrant who was forced to sign Magna Carta, which formed the basis of our own Bill of Rights. Edward I is familiar to millions as "Longshanks", conqueror of Scotland and nemesis of Sir William Wallace (in Braveheart). Yet this story forms only the final chapter of the king's action-packed life. Earlier, Edward had defeated and killed the famous Simon de Montfort, traveled to the Holy Land, and conquered Wales. He raised the greatest armies of the Middle Ages and summoned the largest parliaments. Notoriously, he expelled all the Jews from his kingdom. The story of poison is the story of power. For centuries, royal families have feared the gut-roiling, vomit-inducing agony of a little something added to their food or wine by an enemy. To avoid poison, they depended on tasters, unicorn horns, and antidotes tested on condemned prisoners. Servants licked the royal family's spoons, tried on their underpants, and tested their chamber pots. Ironically, royals terrified of poison were unknowingly poisoning themselves daily with their cosmetics, medications, and filthy living conditions. More fun than poison should be! The 15th century saw the longest and bloodiest series of civil wars in British history. The crown of England changed hands five times as two branches of the Plantagenet dynasty fought to the death for the right to rule. Now, celebrated historian Dan Jones describes how the longest reigning British royal family tore itself apart until it was finally replaced by the Tudors. Some of the greatest heroes and villains in history were thrown together in these turbulent times. Fabulous story; but need a scorecard. In the first full-scale biography of Mary Stuart in more than 30 years, John Guy creates an intimate and absorbing portrait of one of history's most famous women, depicting her world and her place in the sweep of history with stunning immediacy. Bringing together all surviving documents and uncovering a trove of new sources for the first time, Guy dispels the popular image of Mary Queen of Scots as a romantic leading lady - achieving her ends through feminine wiles - and establishes her as the intellectual and political equal of Elizabeth I. There is so much more to the story of these kings and queens than beheadings, political marriages, and the reformation of the church - but those events remain some of the family’s most enthralling moments. I am in love with Captivating History's books. Books from these writers always described the topic well enough. A wonderful audible by Captivating History. Julie Leal I completely endorse your comments on this fabulous book. Indeed great book and I learned a lot, even at my age and given I am Scottish by birth. Recommended read for historical fact. I am not agree with Carmen Suggs (A reviewer, he said this is an average book). In my opinion this is an easy to listen audible, especially for the task of understanding English realm for the Americans. I methodically enjoyed it. I would recommend it. 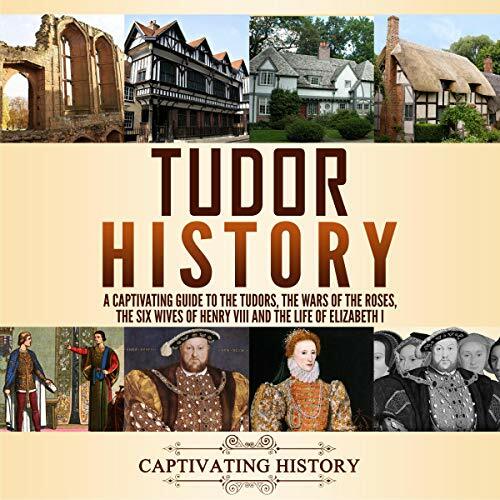 The authority on Tudor history! After listening to this, I revealed that events surrounding Guy Fawkes on the 1605 had their origins in Elizabeth's reign. If you want to know more behind this story, and others. Tudor life from royalty to commoner. The contents of the book are comprehensive, nothing happened in isolation. I especially like the long descriptions presented by the author. Tudor story and the culture. A brilliantly structured history of the Tudors. I received this book some days back and started listening to that immediately. The descriptions are great and attractive for history lovers. Easy to read and pleasurable, very well documented and tempting to know further about the history of England and Scotland. The style of writing was fluid and made for enjoyable reading. 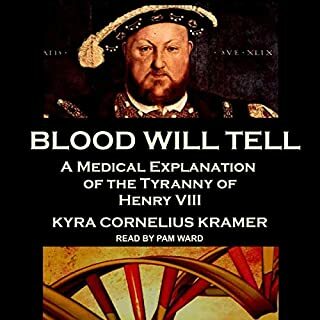 Quit a good med for the Tudor dynasty lovers however, the author offered too many opinions rather than keep himself on a single track. I was hoping a thoroughly historic account. 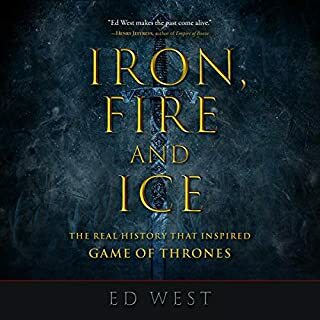 This is a great history audible that reads like a novel. If you are into the Tudor family, then this is the book for you. I enjoyed learning new realities from the Tudor years. It's also amusing to have the Tudor history from beginning to end. I love the history of the Tudors and this is just a pleasure to look at everyday. I was a little worried because it is written by Captivating History and they are sort of biased in my view, but I have so far not found them bias. There isn't anything new in this book but it is very comprehensive. It is also a very easy & entertaining read. 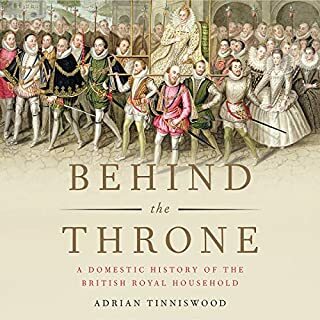 If you know very little or want clarification about the Tudor Dynasty, this is the book for you. Book smoothly sashays through the hundred and twenty years of Tudor England. Even though it does not go into great detail, it make available a balanced assessment of one of the most interesting time periods of English history. I found this book very easy to understand and very informative. It seems to give a very honest and open minded view of the Tudor period. I would recommend this to anyone who really enjoys history. Very informative. I enjoyed this quite objective treatment of the subject. A top audiobook for me. 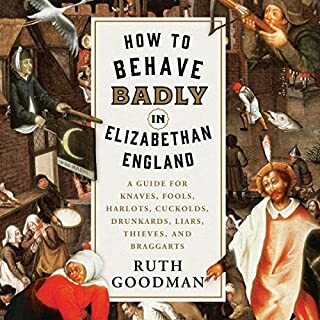 I know a heck of a lot about the Tudor times, but I am enjoying the presentation of this book. If ya can't get enough, try this audible. Very good Tudor Kings move grand though this well written enjoyable airy read / listening. I have just started reading, but it looks like a good book who love history. I was need a book like this as I just started my bookkeeping business, this book it actually help me to give healthier feed back to my clients where their business are standing. I have a small business and this book covers it very well! There are basic understanding of how business should be run efficiently.